Erica Baum (B.S. ’96) always dreamed of doing something bigger than herself — she just didn’t realize how literal that might be. As the Events Senior Manager for the Houston Super Bowl Committee, Baum’s job was to hype up the more than 100 million viewers for the biggest spectacle in sports while also showing off the host city. Leading up to the event, a clock in the committee office counted down the days, minutes and seconds until Super Bowl LI — a constant reminder that she was promoting one of the most-viewed TV events in the world. 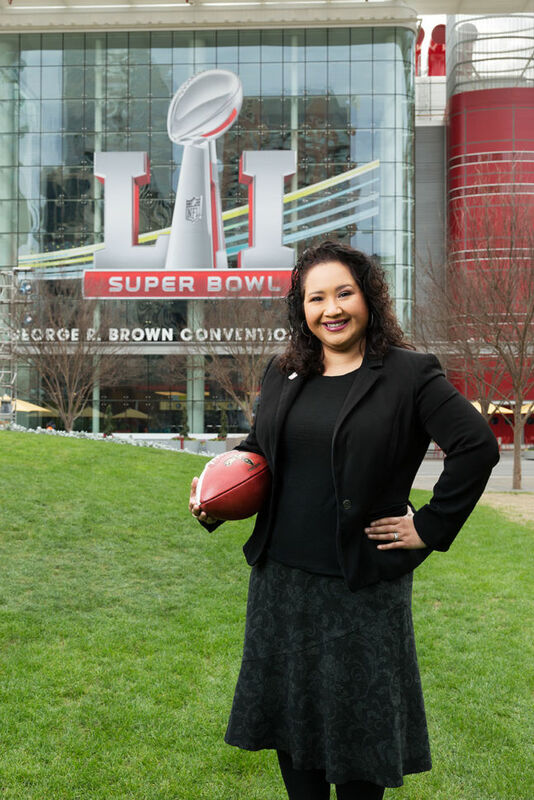 Already an established event planner, Baum learned in 2014 that her hometown, Houston, would be the host city for Super Bowl LI. In her role, Baum helped the committee act as a liaison between the NFL and the city of Houston. She was responsible for events leading up to the Super Bowl, including a 10-day festival in downtown Houston and the biggest tailgate party of the year outside NRG Stadium before kickoff. In preparation for Super Bowl week, Baum and the committee recruited 9,000 volunteers and hosted an orientation session for them in the Toyota Center, home of the NBA’s Houston Rockets. Baum, a Marketing major while at St. Mary’s, credits the program for giving her the moxie to tackle the largest role of her career thus far. Always seeking to outdo herself with each new role, Baum now has her sights set on joining another Super Bowl Host Committee, and the Olympics Host Committee in Los Angeles in 2024.